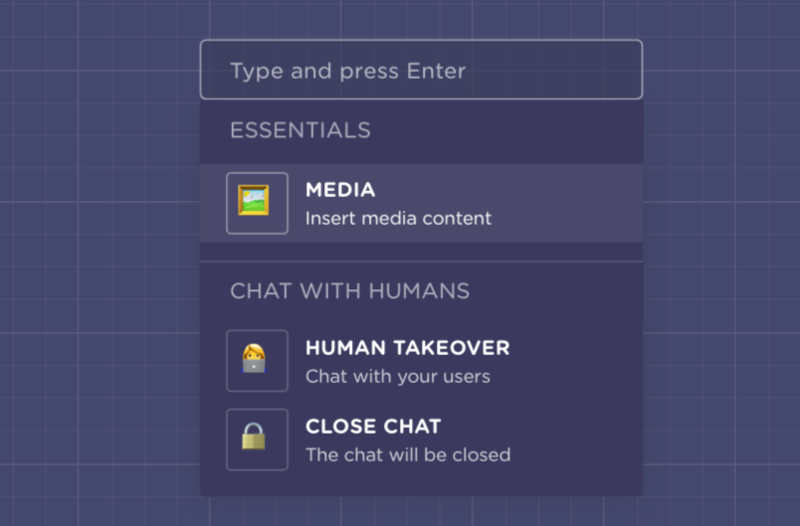 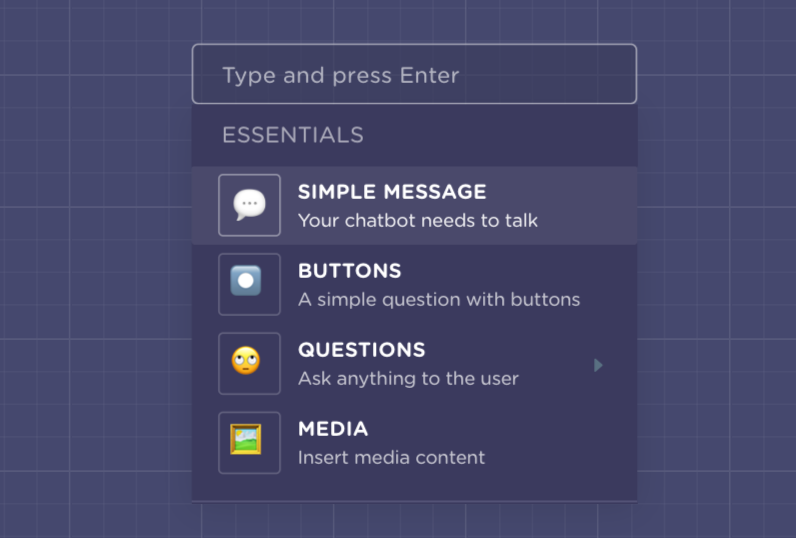 Because a landbot does not live by messages and emojis alone, learn how to send media within the conversation and boost the engagement! 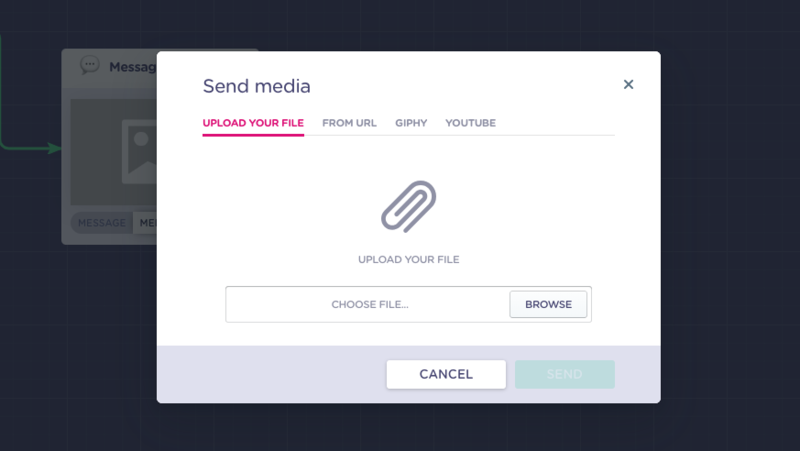 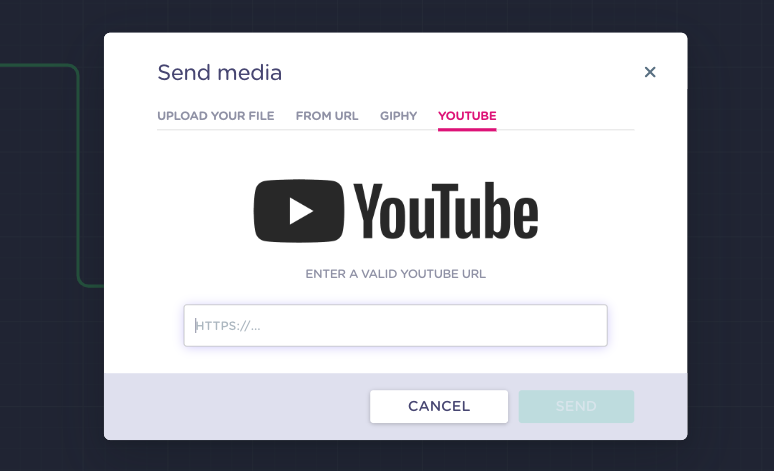 Upload your file: click on browse to add any type of image (JPG, PNG, GIF) from your computer. 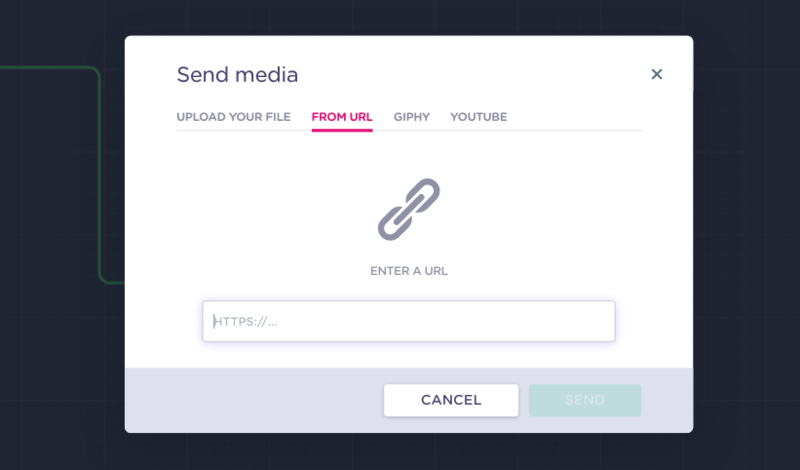 From URL: paste the URL of any image here and it will display within the flow. 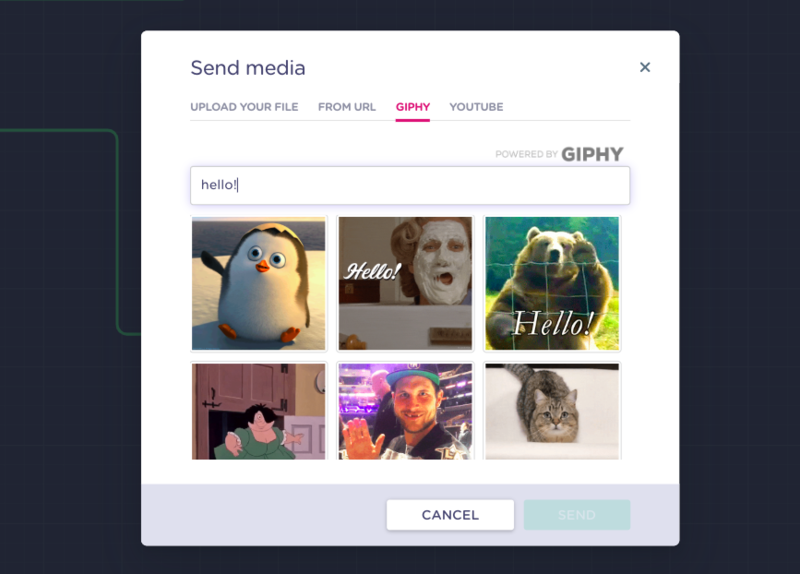 GIPHY: type anything to see a recommendation of the best related GIFs powered by GIPHY!